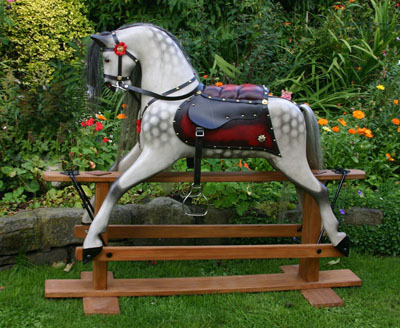 Lavished with praise and awards and hailed as the world's finest rocking horse for young children, there has probably never been such a combination of fun and design sophistication in a rocking horse. A super little horse with heirloom qualities. 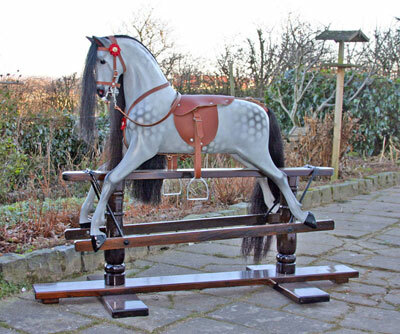 At just £299 plus delivery (or £349 with full tack as shown), this is probably the best value small rocking horse anywhere. Category: Made regularly. Usually available quickly. 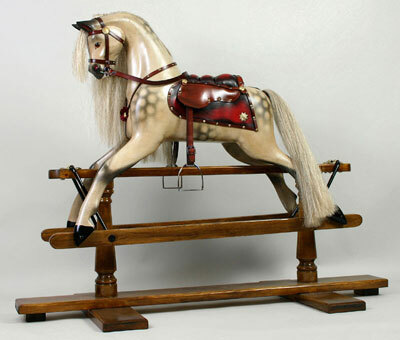 This Stirling Junior rocking horse is a super little choice for the younger child to use up until the age of, say, 7 or 8. 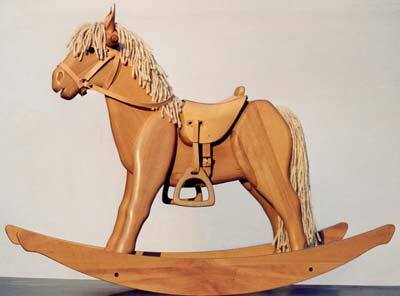 The price of just £895 plus delivery represents excellent value for money for a handmade British rocking horse. Category: Usually made to order. Sometimes in stock. Two Ribble horses were made available for sale. 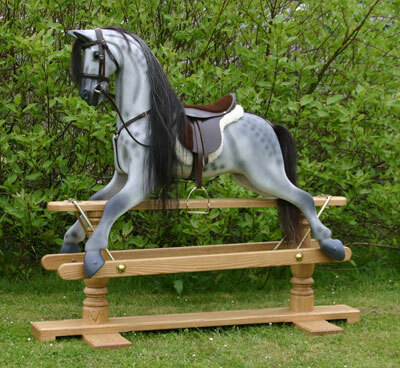 The smaller horse is 36" tall and costs £1,195 plus delivery. The larger horse (pictured) has now been sold. 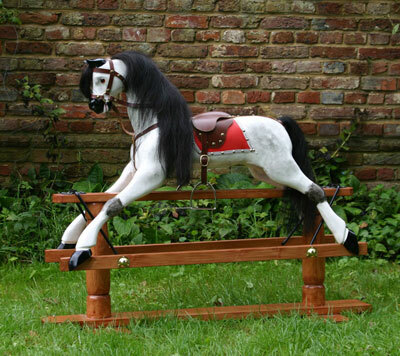 The Chester Dapple from Kensington Rocking Horses is crafted from walnut, tacked-up with saddler-made tack and numnah and is one of the world's finest rocking horses.